Mark joined Total Capital Partners in November 2016. 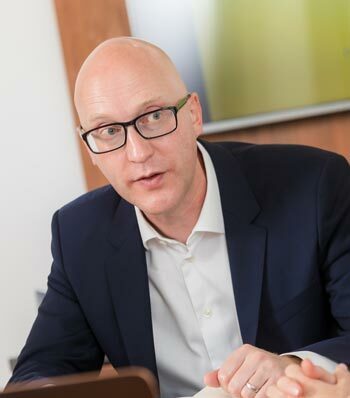 Based in Leeds, his focus is on growing Total Capital Partners’ business in the North West, Yorkshire and the North East, where he has operated throughout his career. Mark began his private equity career with Key Capital Partners, where he spent eight years, becoming a Director. During that period, he led and co-led a number of successful buy-outs and growth capital investments, as well as helping to establish the firm’s presence in the North of England. He then joined Investec to establish a presence for its Growth & Acquisition Finance team in Manchester, with a focus on the provision of combined debt and minority equity financing solutions. He began his career at Deloitte in Leeds, where he trained as a chartered accountant, before joining KPMG where he spent ten years as part of its corporate finance advisory business working across the North. Mark has a BSc in Biotechnology from the University of Leeds and is also a Fellow of the Chartered Institute for Securities & Investment.